Kelly Caviness of Caviness Landscape Design says waterfalls are both attractive and therapeutic. Photo by KO Rinearson. As the weather turns warm, be sure to get the most out of the outdoor space around your home. Whether you’re into gardening, lighting, landscaping or cooking, we talk to the true outdoor experts about ways to personalize your backyard. Nothing adds to the luxurious allure of an outdoor living experience like a swimming pool. Whether set in the midst of an upscale resort hotel or accenting the grounds of a sprawling country estate, a swimming pool signals a grand way to enjoy summer. Kelly Caviness of Edmond has been designing custom pools for Oklahomans for 34 years. He has encountered every type of terrain the state offers. And some of his clients’ requests have stretched his imagination – and probably his sense of humor – for innovative pool design. Caviness has loved every minute of his pool building career. “I’ve built a lot of fun pools and it’s been a blast to do it,” he says. The options for pool design are endless. “Everybody has their own idea about what they want in a pool,” he says. Some like a clean, streamlined look. Others want an interactive pool with tunnels and grottoes that give it a more natural look. He has had clients who want him to design a pool that has places where people can jump in the pool and make a big splash. Others want elevated platforms for showing off their diving prowess. In recent years, some clients have requested boulders as an eye-catching feature for their pools. Others like their pools to be accented by nearby fire pits or fire bowls, which he sees as an emerging trend for pool designers. 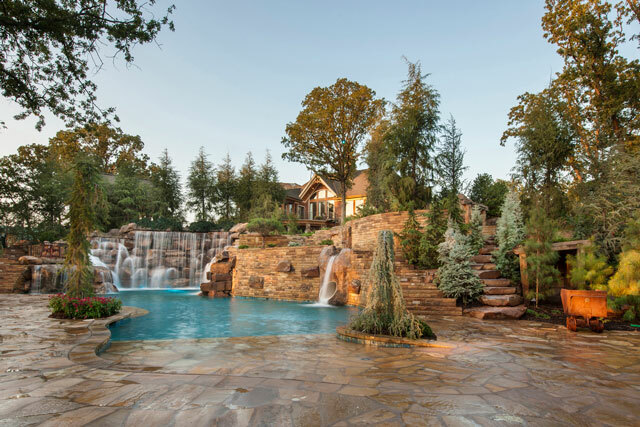 Waterfalls have also become a pleasing accessory in pool design. Caviness has created a variety of waterfall styles from simple to elaborate. He finds them not only attractive and eye-catching but extremely therapeutic. Along the way, Caviness has gleaned a variety of tips to help owners maintain their pool’s safety and cleanliness, whether they have saltwater or freshwater content in their pools. Maintenance is a must if a pool is to be part of a home’s landscape design. A saltwater pool utilizes a salt generator that sanitizes the pool and is corrosive outside the pool, but he cautions that “if the water temperature goes below 60 degrees Fahrenheit, it is necessary to supplement the pool with chlorine. 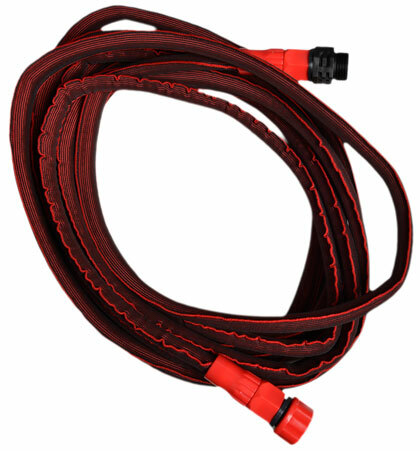 Salt generators last about three years, and a lot of pool owners don’t know those generators need to be replaced. Caviness suggests using a sealer on the patios and deck surfaces once a month when the pool is in use. For a fresh water pool, he says, chlorine is still a good cleaner, unless a person is allergic to it. There are multiple sanitizers on the market that use a lower level of chlorine and might be supplemented by a mineral pack to help sanitize the pool. 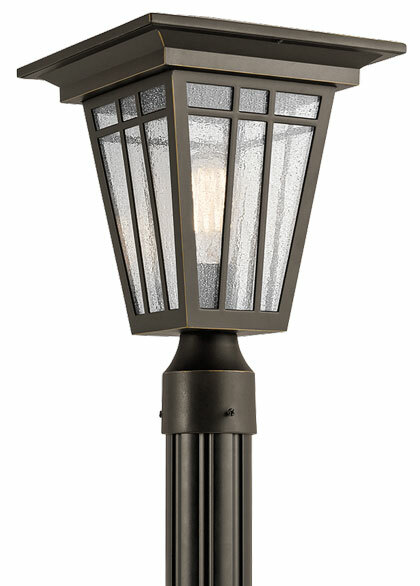 When it comes to illuminating the outside of your home, a porch light just isn’t enough anymore. 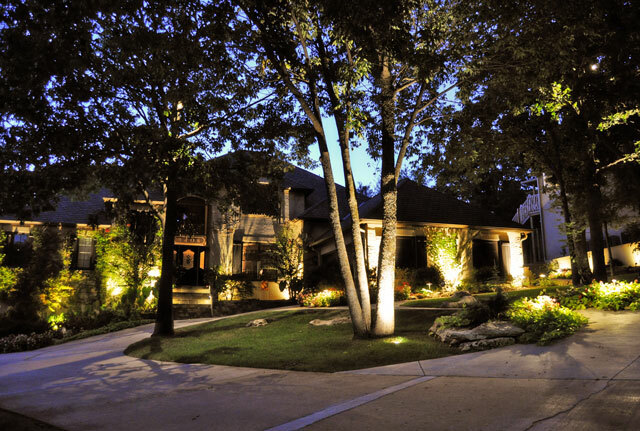 Luckily, landscape lighting in Oklahoma offers plenty of additions to the regular outdoor lighting of the past. Along with strategic area lighting, grazing – a type of illumination that accents the texture of the building – has grown popular in recent years, along with moon lighting – soft, natural, over-head lighting, often in trees. Shadowing and silhouetting also offer captivating views of the home, along with sleek and simple pathway lights. Also a plus: it’s very possible to keep your yard almost completely undamaged during installation, as low voltage lighting wires are buried far more shallowly than other forms. With all these services, it’s rare if any two houses will be lit the same; lighting treatments depend on several factors. There are many traditional ways to enjoy a nice lawn area at your home, but if you’re looking to expand the ways you can spend time outside, it’s possible to have a complete theater experience in your backyard. Morton, project manager at Video Revolution. 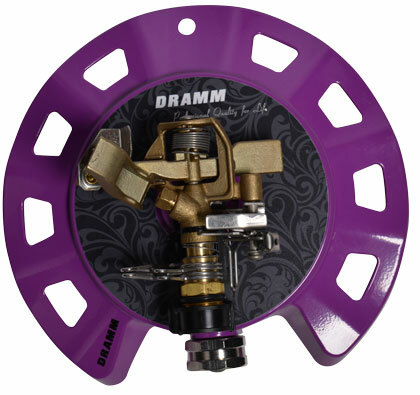 This durable equipment is not only designed to be weatherproof, but also to compensate for the differences in outdoor and indoor use. Outdoor televisions are brighter than those designed for indoor use because of the higher amount of ambient light, and the system has to be built differently in order to keep internal components from overheating despite weatherproof casing. 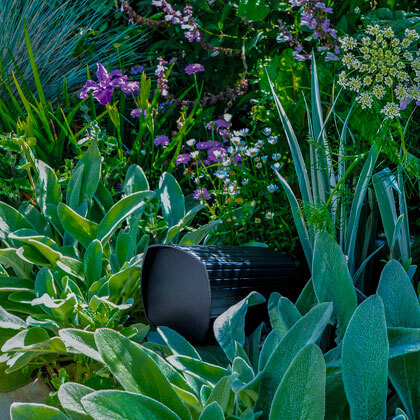 Outdoor sound systems can be as extensive as the homeowner wants. 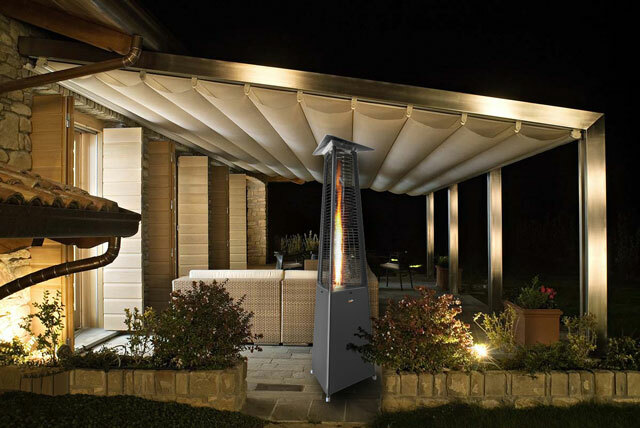 James Loudspeaker, for instance, sells a pergola with a speaker system built for cinema-like Dolby Atmos or DTS:X object-based surround sound. For people looking for a less extensive system or one that doesn’t have to be installed permanently outdoors, Morton says there are other options, including portable projector setups that use a cart with audio and an inflatable screen. LOTT Wet Center in Olympia,WA. 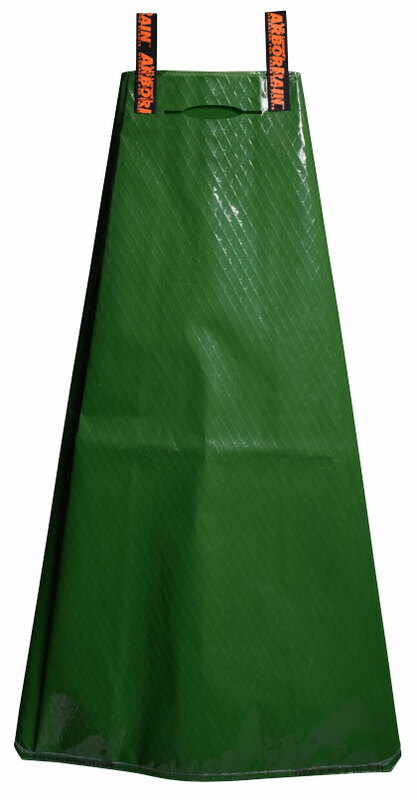 Don’t get stuck with dull, drab colors and fabric options because you’re worried about weatherproofing and fading. 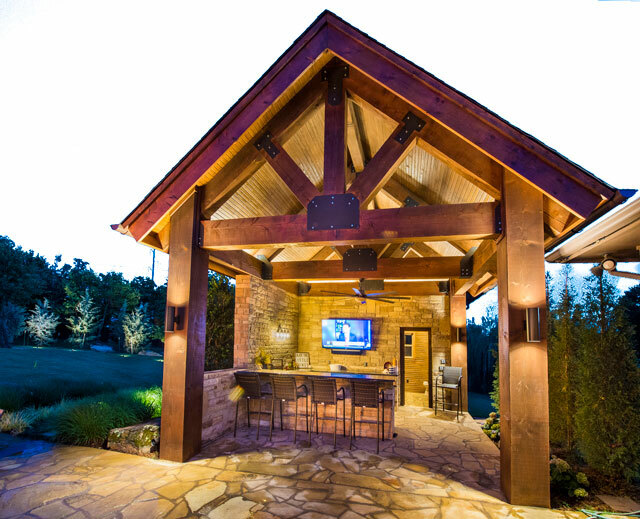 An outdoor grilling area, a fireplace, a covered patio or pergola, a pool, nice furnishings for relaxing, a dining area and a bar – what more do you need for a perfect outdoor entertaining area? Carolyn Nierenberg, of CDA Designs, has embraced the trend for an outdoor living area that is an extension of a home’s living or great room, even the master bedroom. Sometimes this third living area is actually a screened-in porch, as it is in her home. This area may also have electric mesh screens that drop down when needed to thwart insects. Many of Nierenberg’s clients travel frequently and bring her ideas from luxurious resorts that have poolside bars and entertaining areas. She sees an outdoor beverage area more essential for those families with pools. A pullout storage area for wine or liquor seems to serve these clients better than having a full open bar competing with unpredictable weather. Clients with children often like a small fridge on the patio that stocks water and fruit juices for an after-swim beverage. Nierenberg has designed some outdoor living areas with special countertops that host pitchers and stylish plastic glasses so guests can prepare their drinks inside an adjacent kitchen. She especially enjoys cooking and her favorite menu includes grilled salmon, a Caprese salad of heirloom tomatoes, yellow watermelon and avocado squares with slivered fresh mint, grill-roasted veggies, wine, Margaritas, specialty beers and gourmet ice creams. “The beauty of being outside just seems to bring something different out of people,” Edwards says. For outdoor entertaining, she says it’s essential to make sure your guests are comfortable. She and her husband enjoy cooking out, especially burgers. She laments it’s sometimes hard to juggle being the cook and the hostess. “I prefer catering in food in so I can spend a special time with my guests,” she says. 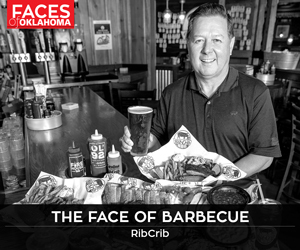 As the founder of Oklahoma Joe’s Smokers and the owner of Oklahoma Joe’s chain of barbecue restaurants, Joe Davidson has expertise into what makes outdoor cooking so popular. 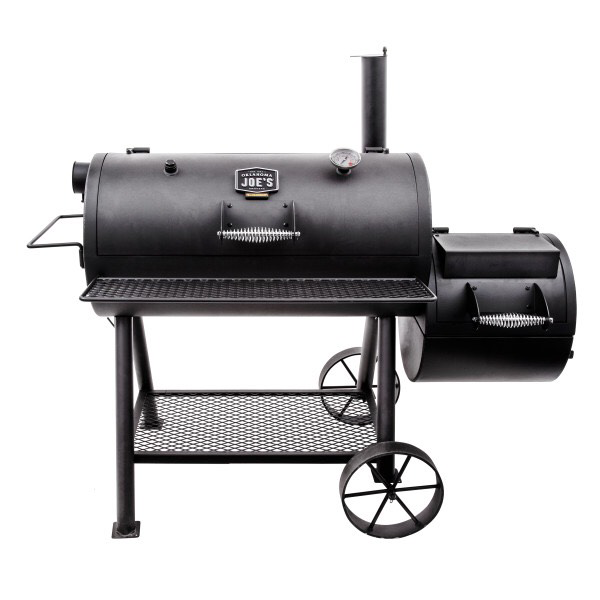 Today, smokers are highly sophisticated, high-tech pieces of cooking gear. Davidson says Char-Broil, Sabre and TEC brands have made infrared technology available to the average consumer at prices ranging from $250 to $500. This technology vaporizes the fatty part of meat and eliminates the scary flare-ups common in outdoor cooking. Davidson says outdoor cooking fans have multiple methods at their fingertips, including smoking, more a method of curing meat than cooking; the always-popular grilling over direct heat; and barbecuing, which cooks with indirect heat and smoke from wood, charcoal or wood pellets. Outdoor cooking can go much further than just a smoker or grill. Jeremy Dunn of Refined Living in Mounds has designed and built full outdoor kitchens that include nearly everything, including refrigerators, warming drawers and built-in sinks. One of the most common trends in outdoor cooking is a hot plate by Evo that allows people to use a flat surface on their grills instead of the traditional grates. Dunn says his company always tries to set up projects so they’re usable on days with bad weather. That includes covering the kitchen area. He has a current project that uses a vent to clear smoke from a covered grill and has heaters installed for year-round use. Outdoor kitchens are popular for people who prefer sitting outside rather than inside, but they’re also helpful for people who like to entertain outdoors. Dunn said an outdoor kitchen helps keep everyone in the same place during gatherings where people may be in and out of a swimming pool, for instance. “It’s creating a whole new environment where you can have everything you need outside,” he says. So, you’ve decided to establish a relationship with Mother Earth. Great! But before you start digging, it’s smart to create a plan. Size, soil quality and money are major considerations in creating a garden. 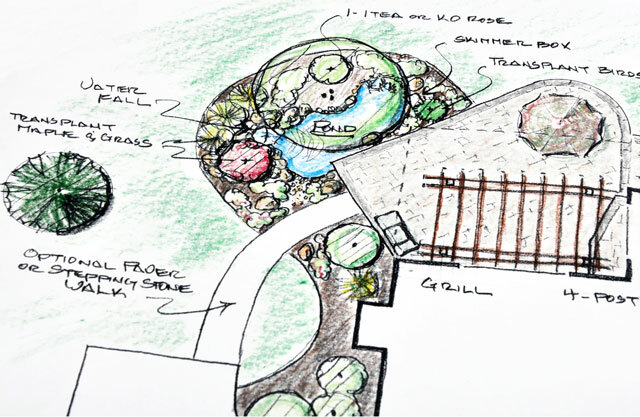 It’s cash well spent to work with a landscape architect/designer. Not possible? Study seed catalogs and garden books, visit local garden centers and watch garden shows on TV. Choose Proven Winners plants for performance and disease resistance. Your county extension office offers a wealth of knowledge and can test your soil to see what nutrients are lacking. Make friends with a master gardener to be your guru. Creating a garden is a reflection of your personality. If you like formality, you’ll love an English style, a symmetrical or geometric theme, requiring detailed care. Boxwood, shaped into elaborate forms, is often the centerpiece of formal gardens. Think old English estate gardens. If you’re more romantic, consider the cottage style. It’s less formal and often includes fragrant flowers that birds love. Picket fences usually line these gardens. Plus, with abundant plants, weeding will be minimal. A contemporary style suits a no-frills personality and often matches a modern-style home. Plants with texture, unusual grasses, cacti and water features often grace these gardens. An eclectic style lets you do whatever your passion pleases. These gardens are often whimsical and feature found objects, collectibles and old statuary. Veggies grow next to perennials. You can sing Frank Sinatra’s “I Did It My Way” while you plant this garden. Love to cook? A potager garden is perfect, especially if your space is small. Plant a variety of cool and warm weather vegetables. Add an herb garden and dwarf fruit trees, and grow grapes on an arbor to keep your kitchen stocked with fresh produce from spring to fall. 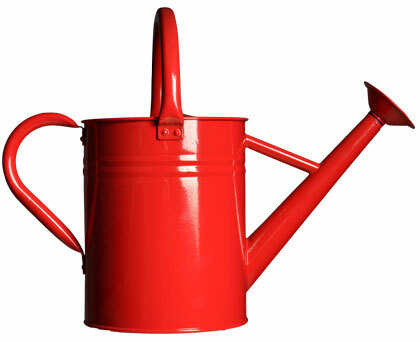 A partere French style features plants shaped in artistic squares, circles or rectangles. Photo by KO Rinearson, courtesy Caviness landscape design. Remember when outdoor furniture was little more than a metal lawn chair and a glider? That look is design history now. Lance Cheney, owner of Richard Neel Interiors, says the current trend is to bring upscale outdoor furnishings inside a home’s main living areas. For a long time the trend was to take the indoors outside. 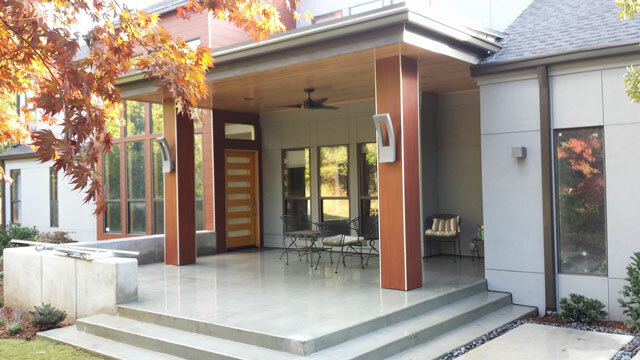 Cheney believes patio, deck and veranda furnishings have been greatly influenced by a California style that features massive sliding glass doors that open a home to the outdoors. Beautiful interior rooms flow into expansive outdoor terraces and patios. 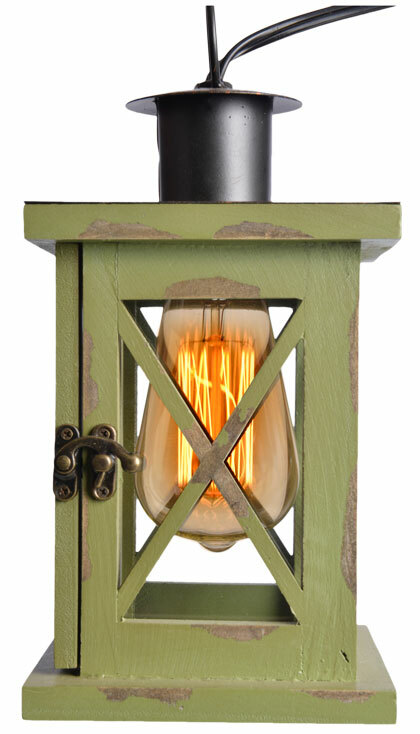 Cheney sees one of the biggest and prettiest trends that will linger is creating traditional furnishings out of teak so they will withstand the weather outside. Cast iron chairs are now being built with lighter-weight aluminum. A traditional outdoor favorite, the striped awning canvas, is giving way to traditional indoor fabrics. “So many fabric companies have developed technical, anti-bacterial fabrics that resist water, heat, sun, mildew, pet stains and insects. These materials have been inspired by the hospitality industry and are created for the hottest desert heat and the coldest Canadian winters. There is no limit to what can be designed now. “Some of these fabrics resemble fine luxury gray flannel menswear suiting, sumptuous velvets, faux mohair and quality oxford cotton shirting. There’s also no dominant color. 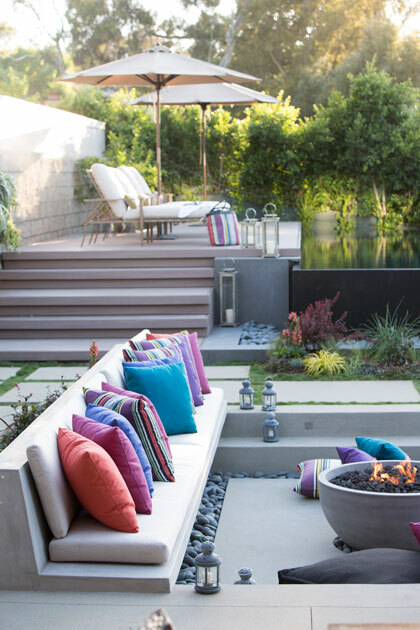 Now every color is a possibility for outdoor living. For homeowners, that spells freedom to design your outdoor living space to accommodate your lifestyle. Cheney says the only element that is constant in Oklahoma is its always changing, ever unpredictable weather. We’re not talking about diamonds. We are looking at the difference between the emerald green grass that graces your lawn versus the artifical turf you see in many football stadiums and commercial settings. Both have benefits as well as limitations, according to Dennis L. Martin, Ph.D, a professor and turfgrass specialist at Oklahoma State University. He has spent the past 26 years working with commercial and governmental entities as well as consumers, all hoping to have beautiful, functional lawns or commercial grounds like golf courses, sports fields, rights of way, sod farms or cemeteries. For Oklahoma lawns, he says Bermuda is the most common, widely used grass in full sun and the easiest and least expensive to work with. “It’s relatively low growing, can tolerate sun and heat, munching from animals or trimming by a mower,” he says. Other warm-season grasses that work well in Oklahoma’s mercurial climate are zoysia and buffalo grass. Cool-season grasses that thrive in certain areas are tall fescue, Kentucky bluegrass and perennial rye grass. 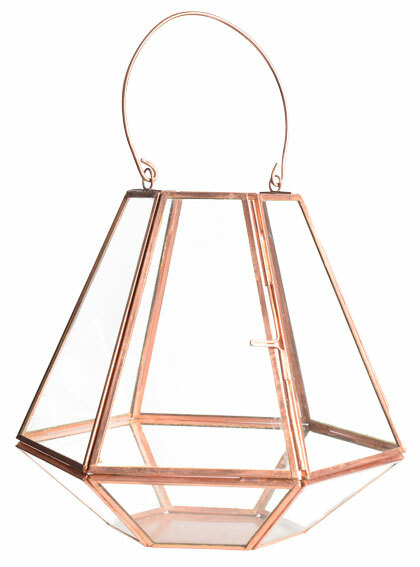 These should be confined to light shade because they use more water in full sun. As a specialist with Oklahoma’s Cooperative Extension Service, Martin recommends choosing a grass that fits your lawn’s condition and your personal desires. Grass in your lawn should be suited to the physical or environmental location of your site. Sun, shade, drought tolerance, winter hardiness and soil conditions are also factors to consider. Artifical turf has a dead zone underneath since no shoots or grass roots are produced and decomposed to build soil health. Air in summer can be 20-30 degrees hotter over artificial than real turf. Martin says artificial turf is also expensive, has a limited life span and needs frequent cleaning. Eventually, it must be either recycled, repurposed or thrown in landfills. Turf grasses can be harmed by human error, he says. “The biggest mistakes people make with turf grasses are injuring the grass by letting it get too tall between mowings, over fertilization or overwatering – all forms of killing the grass with kindness,” Martin says. Martin knows people often have many questions about caring for their lawns. The OSU Extension program provides a variety of fact sheets invaluable to gardeners. Each county extension office provides fact sheets on numerous topics pertaining to lawn, garden and farming issues. It’s a service well worth considering, especially if you’re a newcomer to creating a lawn. No matter how elaborate or simple your backyard living space is, you’ll need the right tools to maintain it. 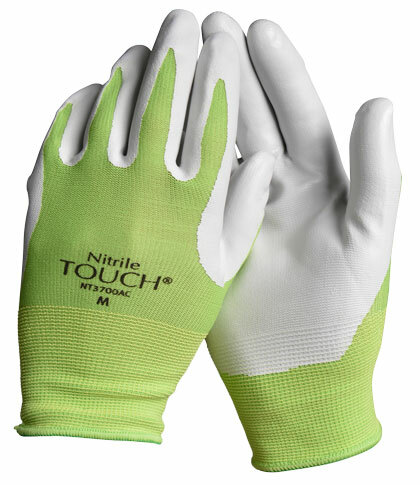 Gloves, shears and hoses are all essential to maintaining the look of your lawn and maximizing your enjoyment of your outdoor space. All items courtesy Southwood Garden Center. The unique arbor rain tower, essential new trees, holds gallons of water that will drip irrigate A tree over several hours. $24.99. 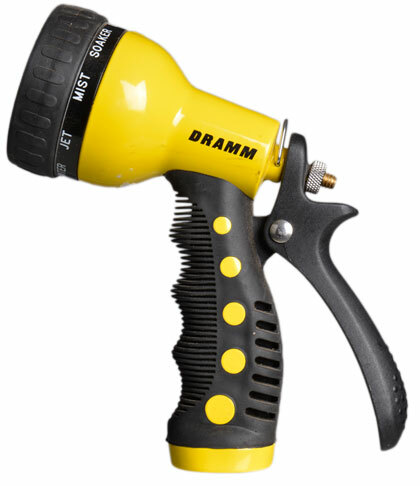 Whether you need a fine mist or a full jet, this adjustable nozzle has a variety of sprays for every plant. $26.99.